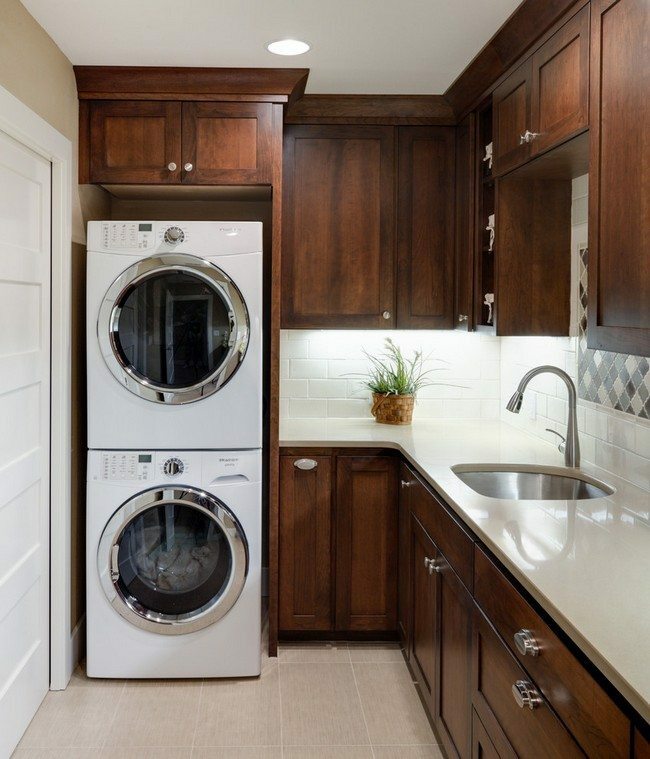 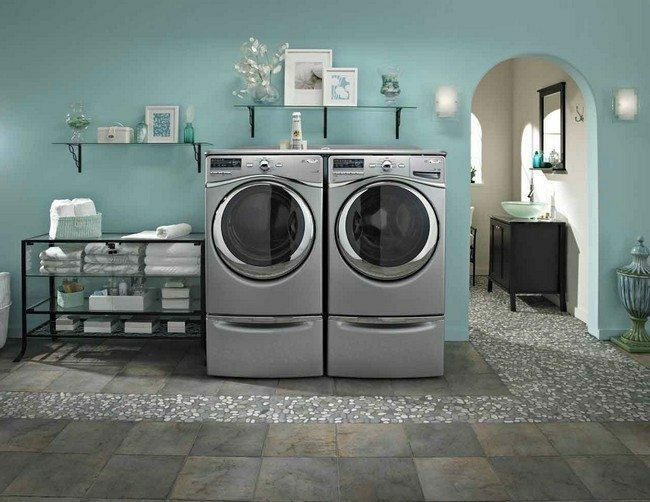 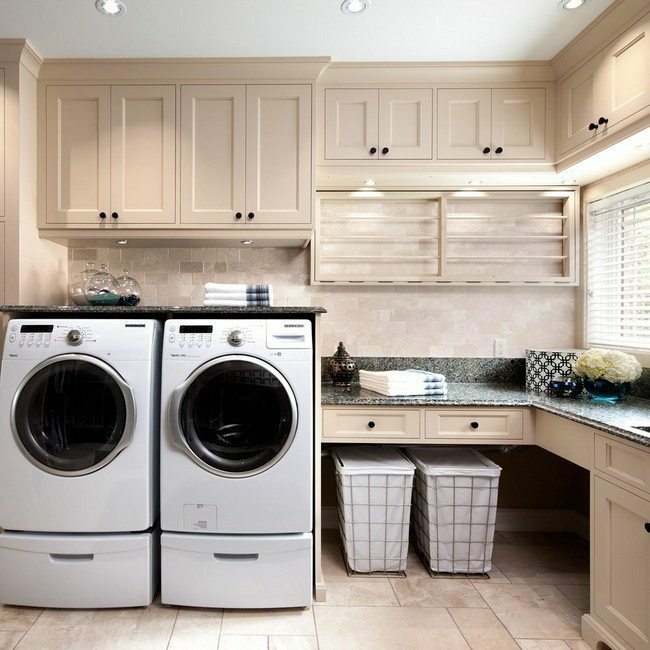 If you have limited space for the laundry room, it is convenient to place the dryer and washing machines in a corner or against a wall. 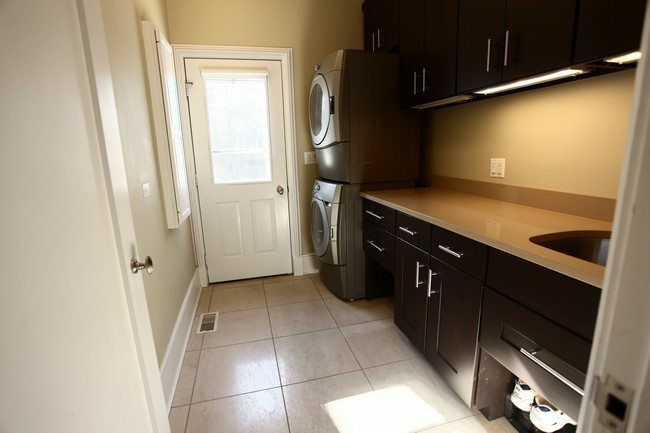 You can have doors to enclose that region while not in use. 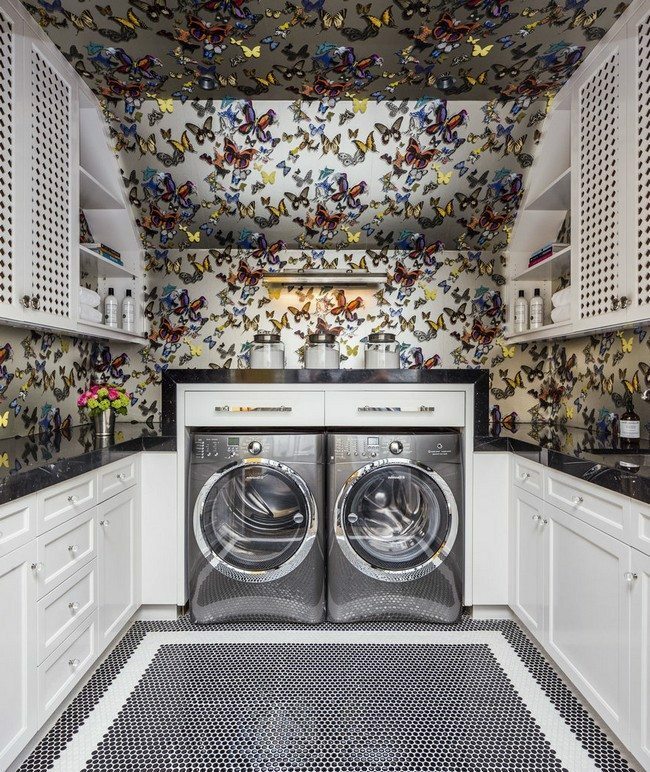 Beautiful wallpaper transforms the laundry room from dull and boring to playful and vibrant. 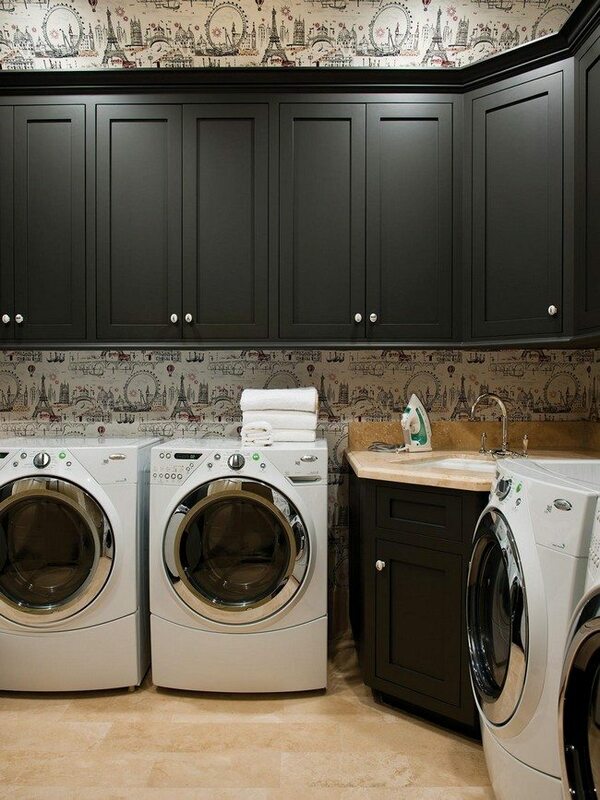 The pattern of the wallpaper matches the general color scheme of the room create a beautiful and uniform look. 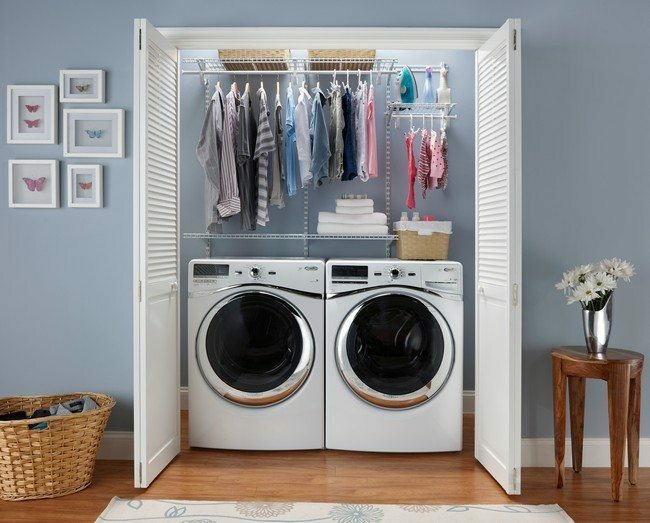 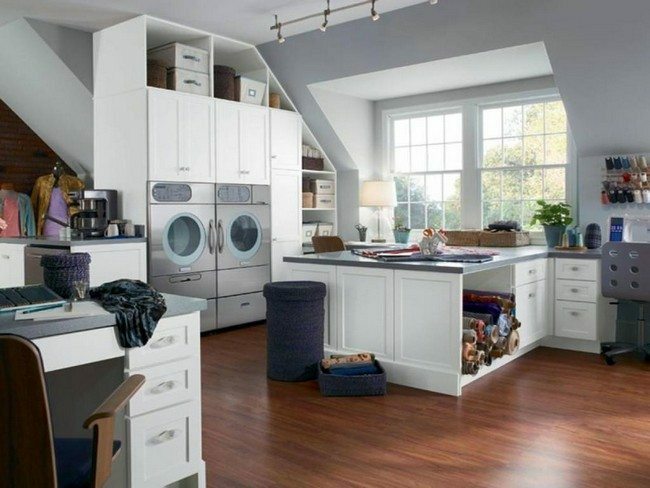 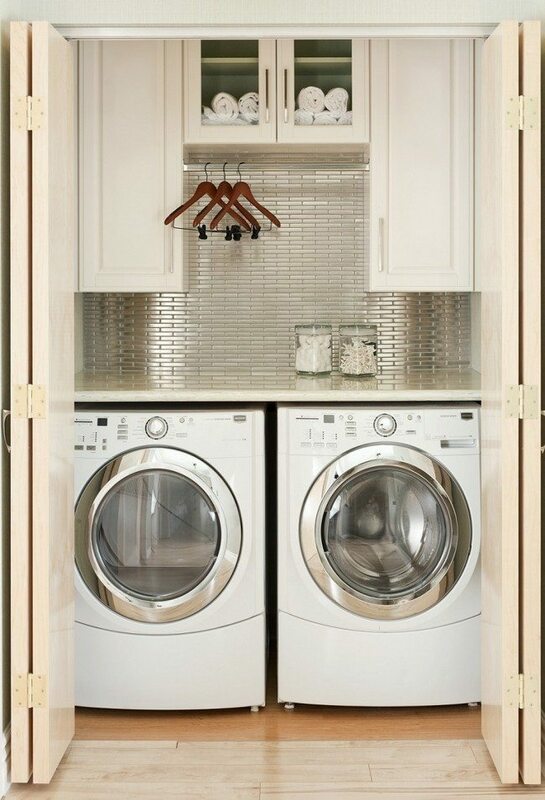 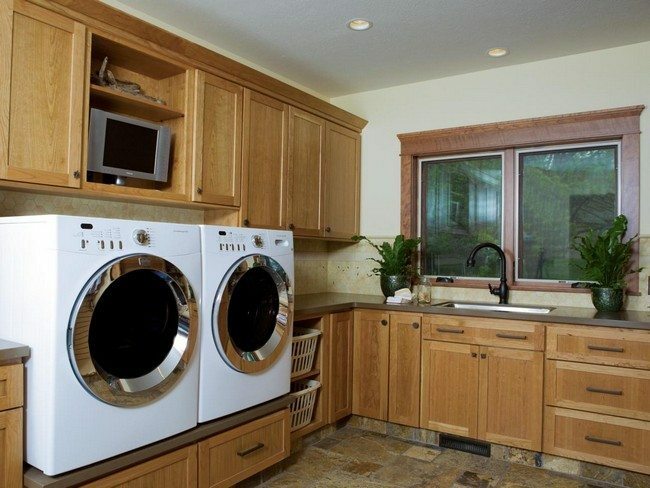 Another great space-saving solution for a small laundry room owner is stacking the dryer and washing machine over each other. 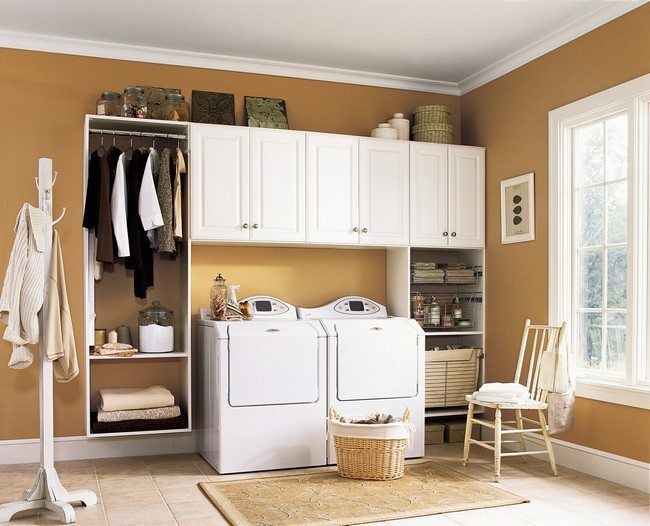 This results in minimum space consumption. 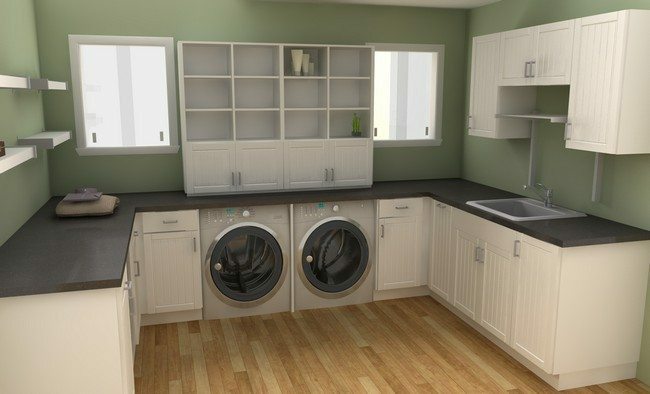 Because this laundry room is small, shelves have been built on the walls for storage, instead of cabinets which take up a lot of space. 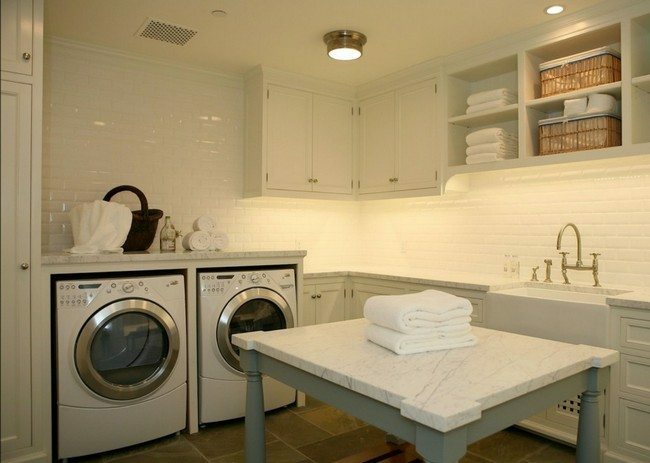 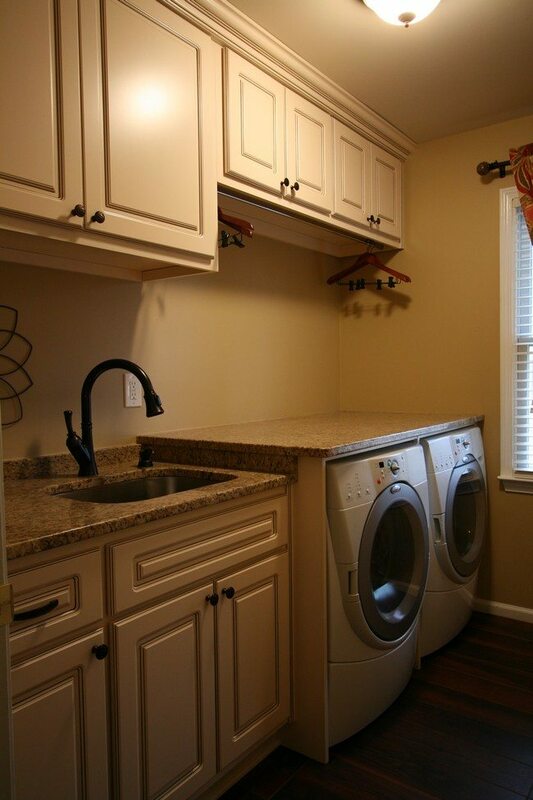 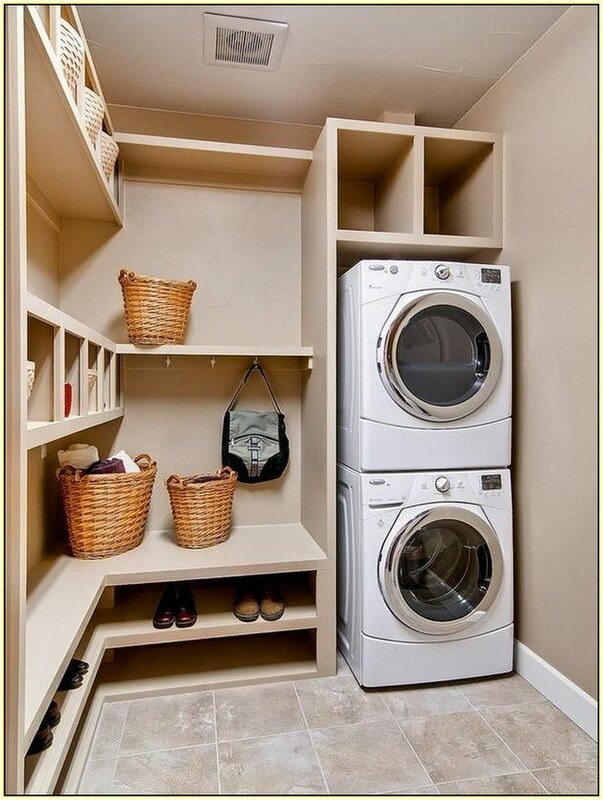 This laundry room is very simple. 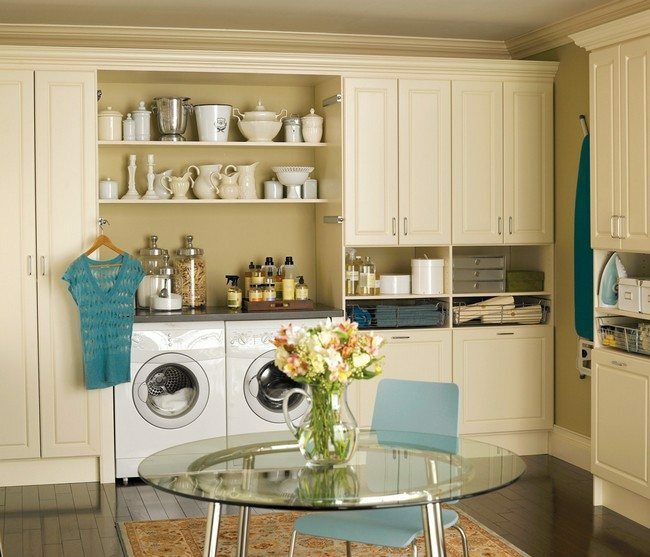 Since it is small, a glass table with shelving has been added to provide storage and allow for folding of clothes, while taking up the least amount of space possible. 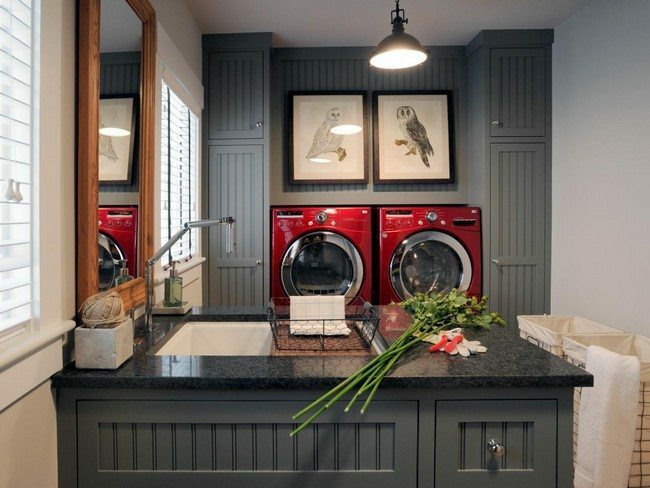 Glass vases and framed pictures have been added to spice up the décor. 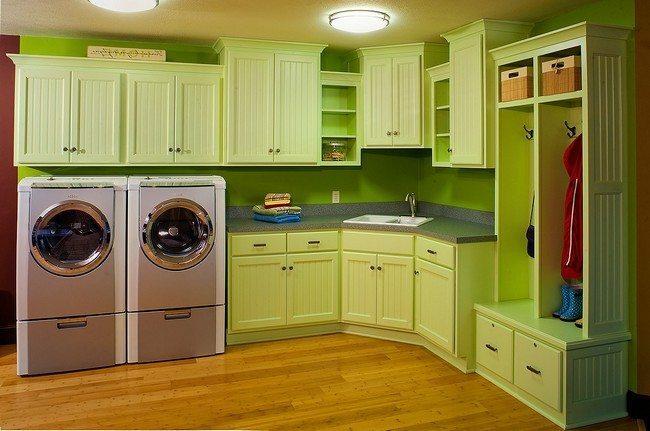 This laundry room has a sink for washing items that require hand washing. 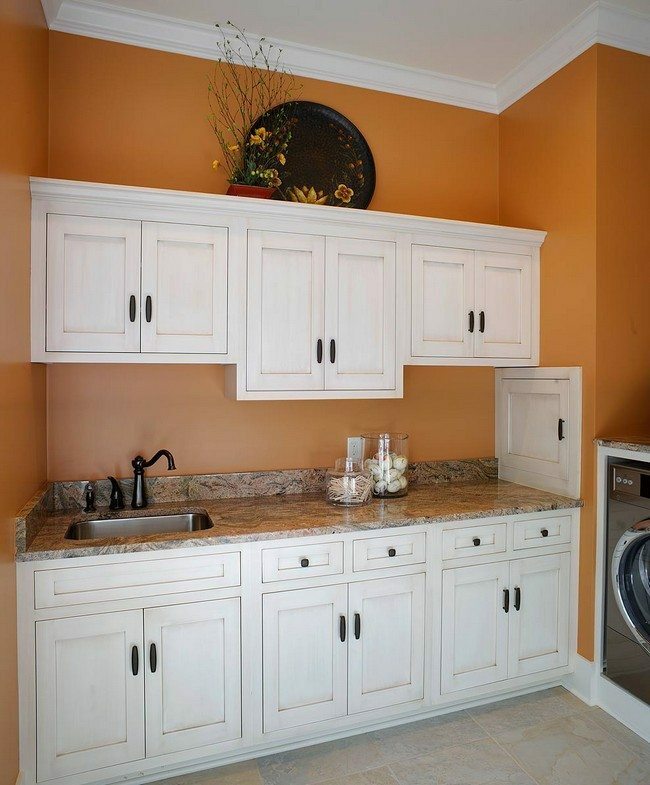 There is a large countertop for folding items and numerous wooden cabinets above and below it for storing items.